Last updated 3/4/2015 by David Giblin. Publication: Rhodora. 93: 112. 1991. Notes: The combination A. aleuticum var. 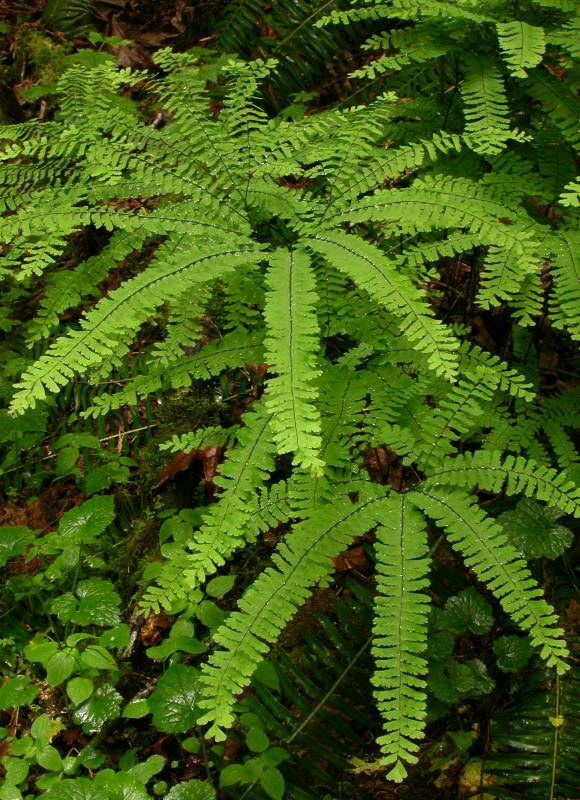 subpumilum has been published (Alverson, American Fern Journal, 100(4):230-233. 2010), so the full combination here can be var. aleuticum if one recognizes the distinctiveness of var. subpumilum. FNA2: "Although the western maidenhair has traditionally been interpreted as an infraspecific variant of Adiantum pedatum , the two taxa are reproductively isolated and differ in an array of morphologic characteristics. Therefore, they are more appropriately considered separate species (C. A. Paris and M. D. Windham 1988). Morphologic differences between A . pedatum and A . aleuticum are subtle; the two may be separated, however, using characteristics in the key. Adiantum aleuticum occurs in a variety of habitats throughout its range, from moist, wooded ravines to stark serpentine barrens and from coastal cliffs to subalpine boulder fields. Although morphologic differences exist among populations in these diverse habitats, they are not consistent. Consequently, infraspecific taxa are not recognized here within A. aleuticum."